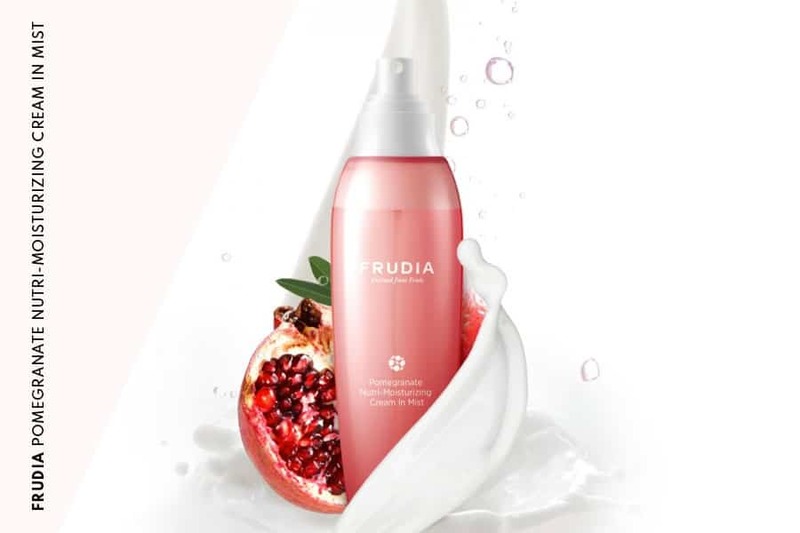 TESTED FOR YOU: Frudia Pomegranate Nutri-moisturizing Cream in Mist. Autumn is here and with it here comes the first cold weather. This season transition could really be problematic for your skin, especially if this is of the sensitive kind. Maybe you have been in need of a moisturizer that effectively hydrates your dry skin in a really compelling way. That’s when Frudia “Cream-in-Mist” comes in hand. Thanks to an innovative fruit-juice extraction technique this “zero-water-all-nourishment” goodness might be just what your skin needs to catch up with the cold season approaching. 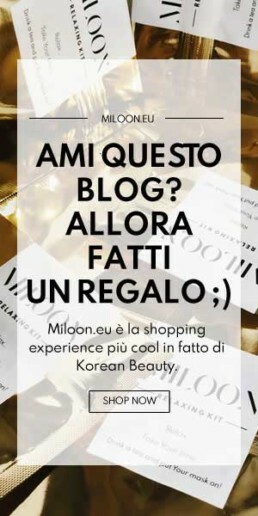 Our friend and guest contributor @Skinchan_Skincare had the chance to try it. Here are her impressions. Frudia is the result of 30 years of dedicated research by Frudia Research Lab looking for a better way to treat our skin plants and fruits provide a rich repository of nutrients and anti-oxidants that naturally protect beautifully. 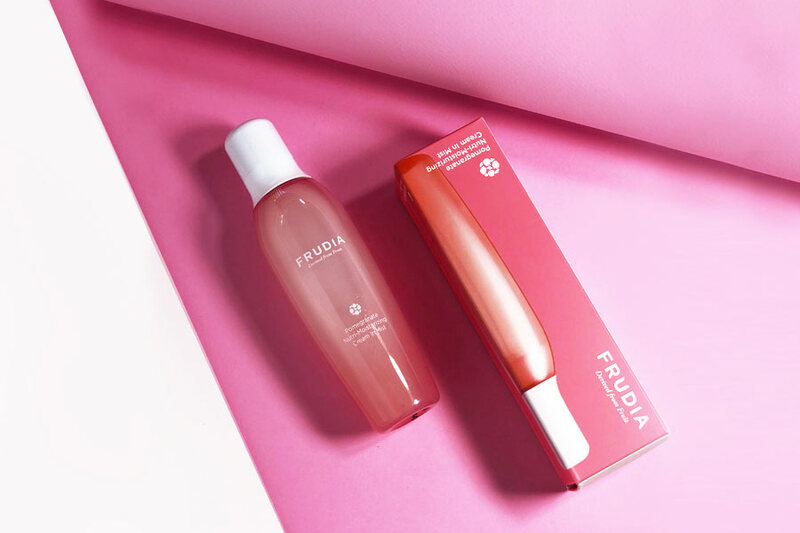 Frudia captures these nutrients into a product that similarly protects your skin and gives natural glow. Nourishing and moisturizing spray containing 87% pomegranate extracts. It contains antioxidants and polyphenols that smoothes and prevents wrinkles. In fact, pomegranate, tomato and fruit seed oil provide optimal moisture level of the skin and strengthen its natural protective functions. 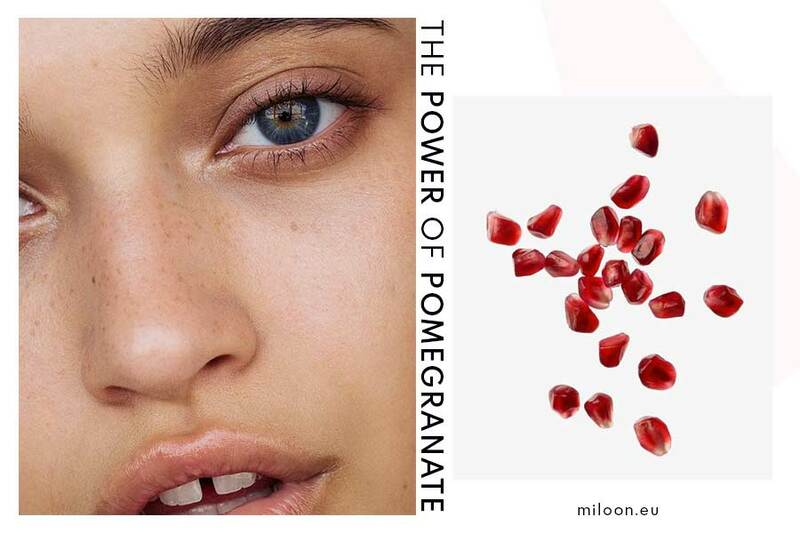 The Pomegranate extract – it revitalizes, firms and nourishes the skin. Moreover the Vegetable oils’ complex – it protects the skin, deeply moisturizes. This amazing moisturizer is enriched by the R Vita W technique: this consents to obtain nutrients at low temperature to provide valuable antioxidants to the skin. Extracts of seeds and fruit are processed with extreme care to preserve their color and smell. Suitable for all skin types, especially the most sensitive. Notable ingredients: Pomenagrate extract, Adenosine, Tomato seeds oil. For more detailed look check out the product tab here. As some of you know, I’ve recently discovered an unconditional love for face mists. I was really intrigued by the name of this one (Cream-in-Mist), so I decided to give it a try. Now you’re probably wondering about what the term “Cream-in-Mist” means, hence a short explanation. The consistency of this product is watery when sprayed onto skin, but it becomes creamy and velvety when it dries, leaving the skin super soft and hydrated. The bottle is incredibly resistant and it doesn’t contain any gas, so you can easily bring it everywhere. The spray is even and 2/3 pumps will cover your entire face. .
hours on my super dehydrated skin, then I have to re-apply it. I’m so impressed by this brand and by both of the products I’ve tried and this mist is something I really can’t live without, especially now that temperatures are lowering and my skin needs extra moisture throughout the day.